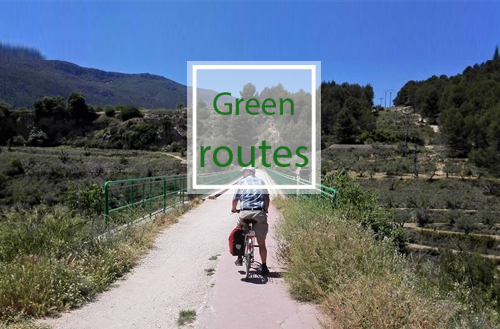 Trails by Bike in Alicante Province is a Guide on Cycling Tourism Routes across the Province of Alicante. Here we offer some recommended routes by the Department of the Environment of DIPUTACIÓN DE ALICANTE. We hope you enjoy them! List of routes in Alicante Province – Download GPS Track! Difficulty: Low. Length: 7.15 km. Difficulty: Low. Length: 13.02 km. Difficulty: Low. Length: 22.02 km. Difficulty: Low. Length: 21.24 km. Difficulty: Low. Length: 25.60 km. Difficulty: Low. Length: 50.15 km. Difficulty: Media. Length: 49.21 km. Difficulty: Media. Length: 33.11 km. Difficulty: Media. Length: 13.76 km. Difficulty: Media. Length: 26.13 km. Difficulty: Alta. Length: 23.55 km. Difficulty: Low. Length: 34.00 km. Difficulty: Low. Length: 38.38 km. Difficulty: Low. Length: 28.53 km. Difficulty: Low. Length: 18.90 km. Difficulty: Low. Length: 13.60 km. Difficulty: Low. Length: 36.08 km. Difficulty: Low. Length: 25.51 km. Difficulty: Media. Length: 38.39 km. Difficulty: Media. Length: 31.18 km. Difficulty: Media. Length: 60.64 km. Difficulty: Media. Length: 30.03 km. Difficulty: Media. Length: 45.49 km. Difficulty: Low. Length: 32.48 km. The best bicycles to cover these trails with are the ones known as hybrids or mountain bikes. It will be better if they are equipped with lights, bell, kickstand and rear mirror. Bringing a saddlebag to carry your things (tools, food, clothing, etc.) will make the tour more fun. A backpack will be tiresome and not as comfortable. Always bring the basic tools, as well as an inner tube, patches and an air pump. A good idea is to carry a small first-aid kit, water, food and use gloves and sunglasses. Make sure that the seat and handle bar height are appropriate to avoid pedalling in an awkward posture. Unfortunately, bikes are sometimes stolen. So bring a chain and a lock, and if you need to get absent, secure it to a safe spot. Take the accessories with you and never let the bike alone at risky places. In warm weather, it is better to go out early and avoid the middle hours of the day. We can take advantage of this time to visit, relax at the park or swim at the beach, in the river or the town swimming pool. On the way down hill, contrary to what most people do, my advice is not to hurtle. In addition to being safer, we may best admire the landscape and relax without pedalling after a hard climb. One last piece of advice. These routes are not to be travelled hastily. Always assign more time than you would think is needed, as the unexpected can always happen (a flat tire, extra visits, getting lost, etc.). Taking your time will make your tour a more enjoyable one. Bikes can be transported free of charge aboard RENFE regional and commuter trains, it is a good idea to always check the schedule as there might be some restrictions. Although not often, some trains have specific room for bikes. You can also transport your bicycle for free on the FGV Alicante-Dénia train line and aboard ships. Coaches usually charge a small fee and, as a general rule, they will make you disassemble and wrap it so as to not stain the rest of the cargo. During winter and summer the frequency and schedules of the transportation service may vary. Before starting your tour, it is important to check this information by calling on the phone or visiting the web site. For those who like backpacking and spending entire days on the bike, combining these routes may offer the hassle-free chance to cover a large area in the province of Alicante. For example, routes 21 to 24 are designed to be linked on a journey across the province for a few days. They mostly follow the trail of old train lines that have been adapted in some stretches as greenways. 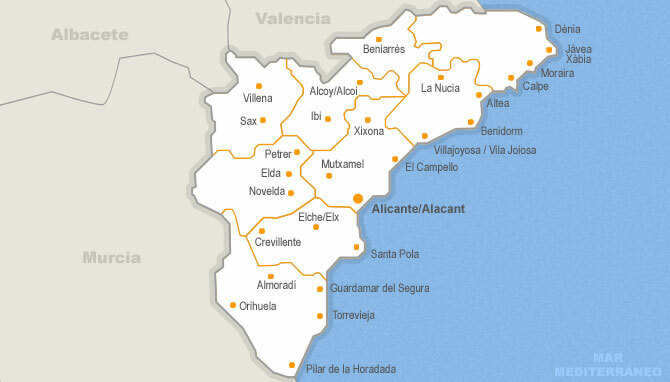 This journey allows you to admire the different landscapes in our province: the semiarid lands of San Vicente-Agost, thick forests and mountainous scenery around Alcoy, spectacular ravines such as the Barranc de l’Infern, and the coastal plain of Gandía-Dénia with its citrus-crop lands. The same goes for routes 19 and 20. The necessary information for getting accommodation and planning your holiday à la carte menu can be found at the tourist information office, on the Internet and at the local councils. Before going out, tune up your bike, check the breaks, tires and steering. Abide by traffic rules, ride on the right and signal any manoeuvre with due time (turns, stops, potholes). Avoid biking at night, if you must, use back, front and reflecting lights. On the road, if you are within a group, ride on a line, never three by three or more. Keep at a reasonable distance from bikes in front. Technical data indicating drop, difficulty, access, distance, type of terrain, as well as transportation and cartography information. 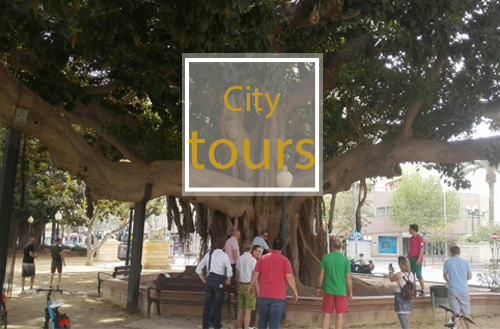 Practical information on each place and locality (data, history, spots of interest, gastronomy, holydays, tourist information and local council telephones). A brief introduction of what you will see on each route and an explanation of the area to be visited. A detailed map of each route. A detailed description of the route, with kilometric data. 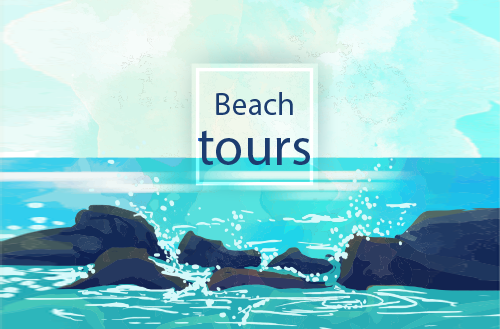 An illustration of the itinerary with the most interesting pictures. Combination of train + bike to promote sustainable transportation. A general map including the location for all the routes.